HWFA teamed up with autism organization Striking It Big for Milestones for its 5th annual bowling extravaganza. Learn more about our cause and how you can doante to our team "Split Happens." We had another successful and fun trip with our group. We look forward to our next visit! Join Craig Petti by supporting Movember! How to support this great cause. HW Financial Advisors is excited to announce that during the month of July we will be teaming up with Cleveland Kids in Need Resource Center to help fill the backpacks of the most disadvantaged students across Northeast Ohio with much-needed school supplies. To learn more about this organization, please visit Cleveland Kids in Need Resource Center. What has HWFA been up to lately? Well, we have been up to . . . about 145 feet above the ground, flying at about 50 mph! Our staff recently completed a team building activity at the Laurel Ridgeline Canopy and Zipline Experience in Seven Springs, Pennsylvania. It was exhilarating and energized our team in new dimensions that will enhance our performance as an organization. 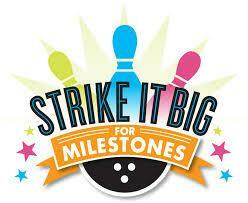 HWFA teamed up with autism organization Striking It Big for Milestones for their 4th annual bowling extravaganza. Learn more about our cause and how you can donate to our team “Split Happens”. 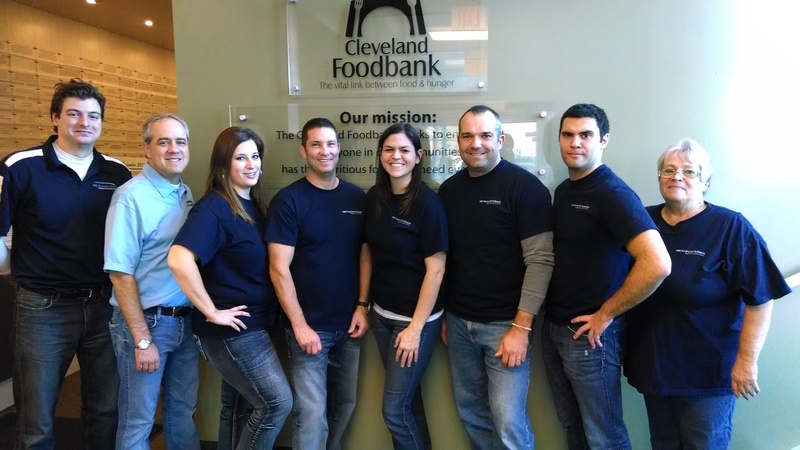 Our staff volunteered at the Cleveland FoodBank for the fourth year in a row this December. We worked as a team sorting and packing boxes of more than 2,000 pounds of food. We look forward to our next visit! Join Steve Rudolph by supporting Movember! How to support this great cause. Learn more about our cause and how you can donate to our team “Split Happens”. 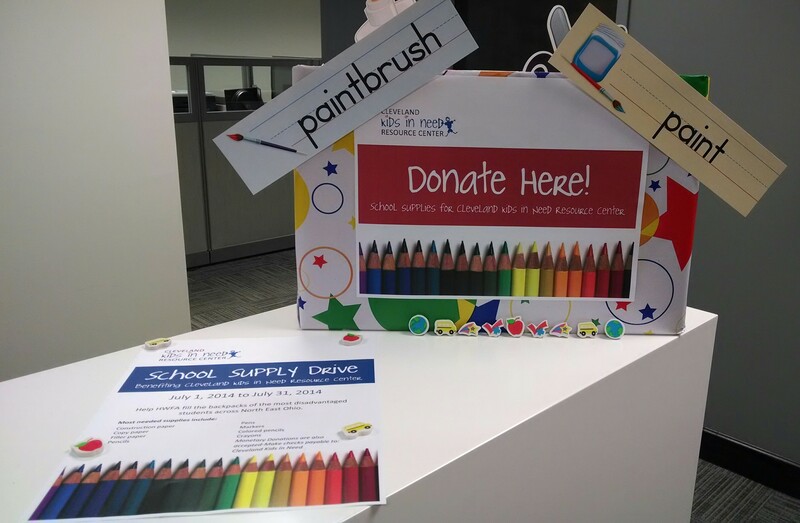 HW Financial Advisors is excited to announce their second annual School Supply Drive. During the month of July we will be teaming up with Cleveland Kids in Need Resource Center to help fill the backpacks of the most disadvantaged students across North East Ohio with much needed school supplies. 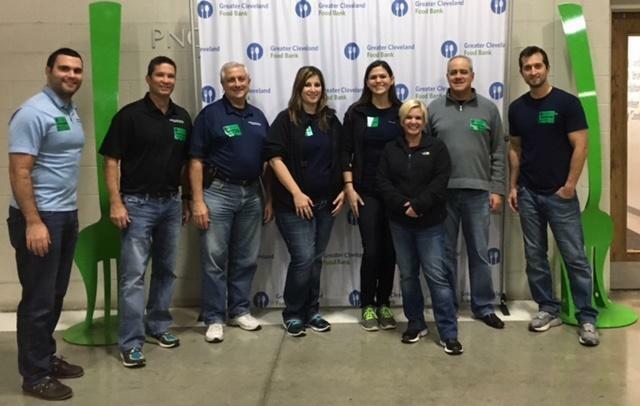 Our staff volunteered at the Cleveland FoodBank for the third year in a row this December. We worked as a team sorting and packing boxes of over 3,000 pounds of soup and pasta. We look forward to our next visit! We are proud to announce our participation in the Toys for Tots Drive for this 2014 Holiday Season. We are collecting new, unwrapped toys for less fortunate children in our community. Help us make this a wonderful Holiday season for these children! 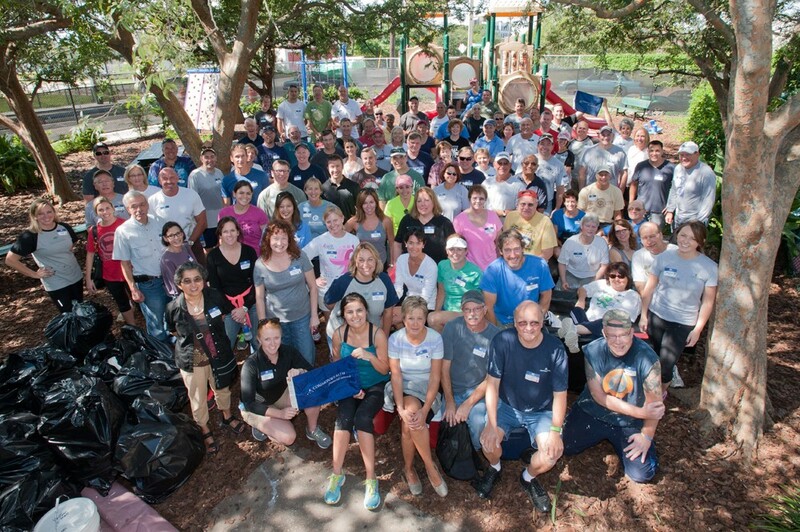 Along with fellow Commonwealth Advisors, our very own Miranda Licursi volunteered with the Coalition for the Homeless of Central Florida at Commonwealth’s National Conference last month. We are excited to announce that our School Supply drive was a huge success! Connie Stepich and Miranda Licursi personally delivered our collection and volunteered at the Center this past week. They unpacked and sorted several bus-fulls of donated supplies. Thank you to all who supported us in this great cause! 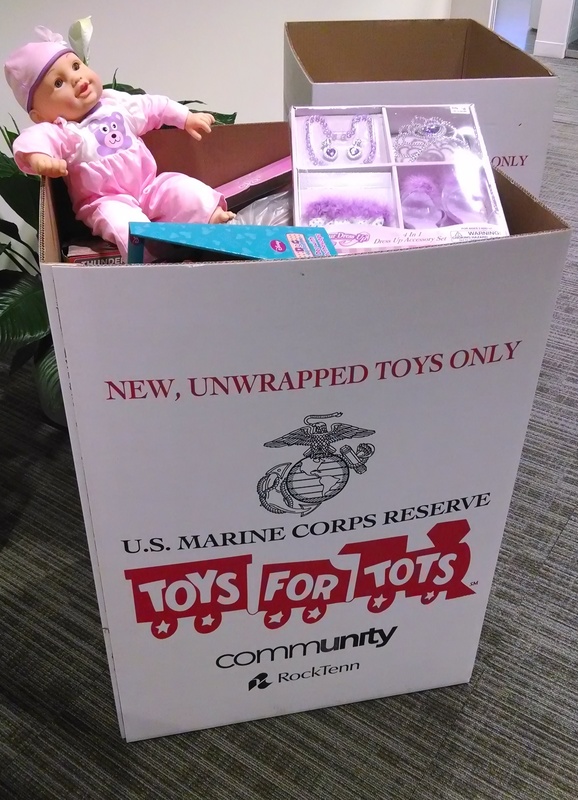 Toys for Tots was a huge success; thank you to all that participated! We look forward to next year! 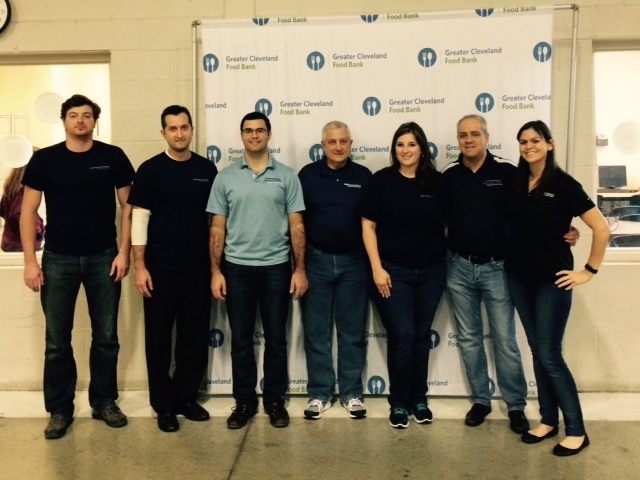 Our staff volunteered at the Cleveland FoodBank for the second year in a row this December. It was a beneficial team activity as we worked together to sort and package over 3,500 apples. We look forward to our next visit! HW Financial Advisors is excited to announce that during the month of July we will be teaming up with Cleveland Kids in Need Resource Center to help fill the backpacks of the most disadvantaged students across North East Ohio with much needed school supplies. 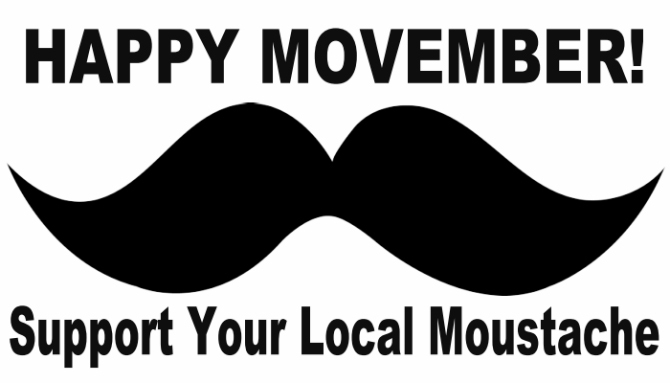 Join HWFA and Nick McCreary by supporting MOVEMBER. See details on how to help. 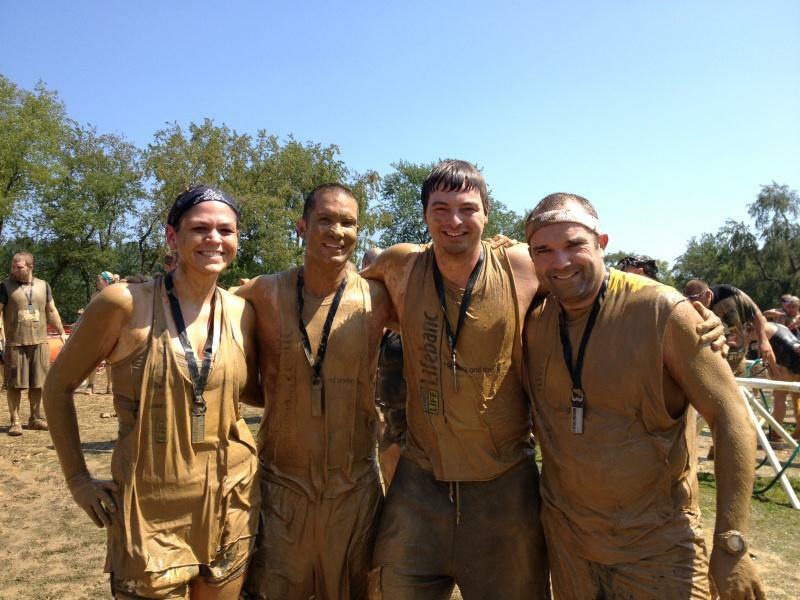 Thank you to everyone who supported The HWFA Green Machine when we recently participated in the Warrior Dash. 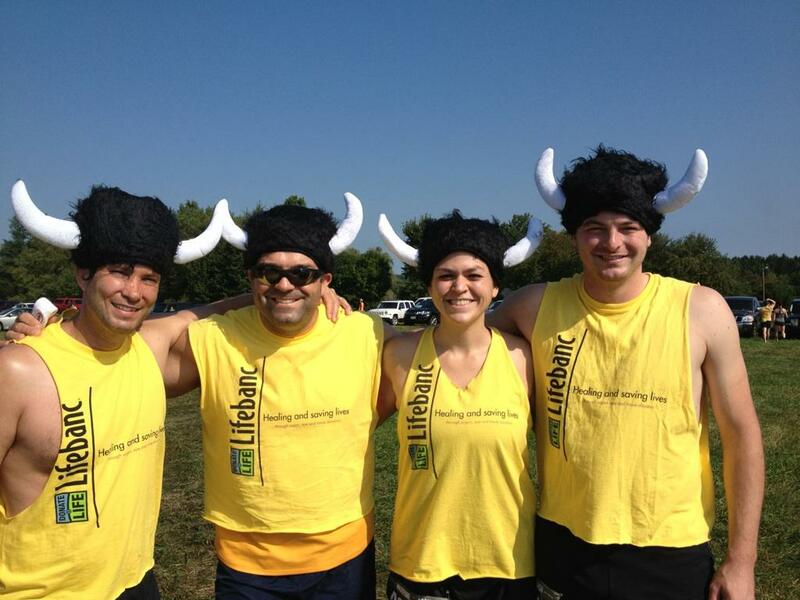 We raised approximately $825 for Lifebanc. It was an incredible team building experience and we hope to have an even greater presence at the race next year. 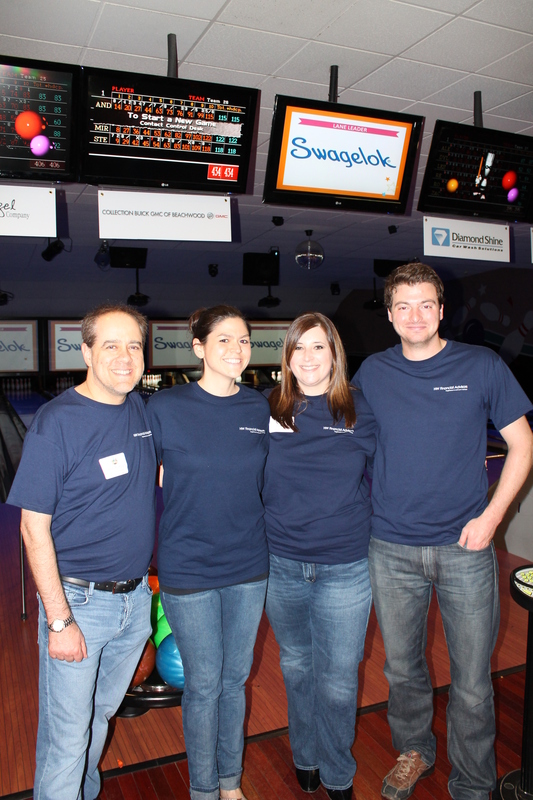 Steve Rudolph, Andrew Marusic, Connie Stepich and Miranda Licursi represented HWFA at the Milestones Autism Organization Strike it Big Bowling event. The HWFA bowling team, Living On A Spare had a great time supporting an organization that helps meet the everyday challenges that impact families dealing with autism. 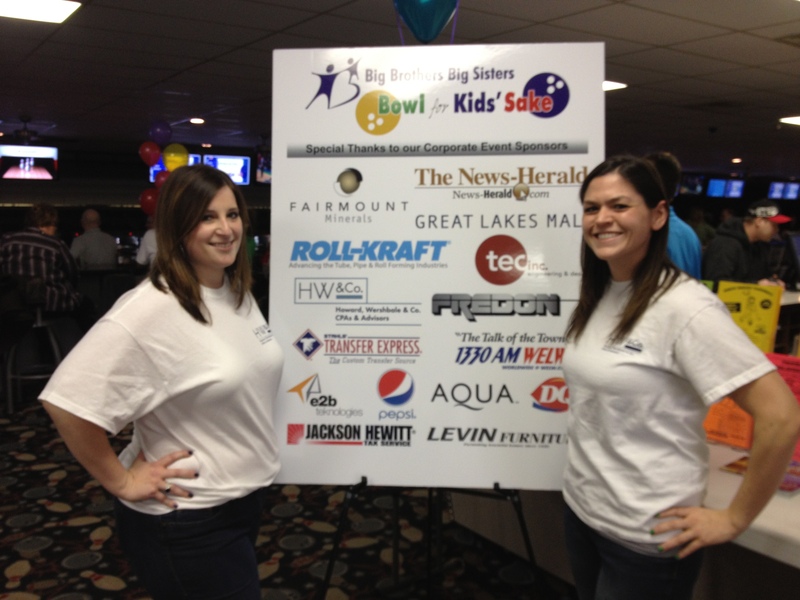 On Saturday 3/16/13 our very own Connie Stepich and Miranda Licursi tested their bowling skills at the Bowl for Kids Sake charity event for Big Brothers Big Sisters of North East Ohio. 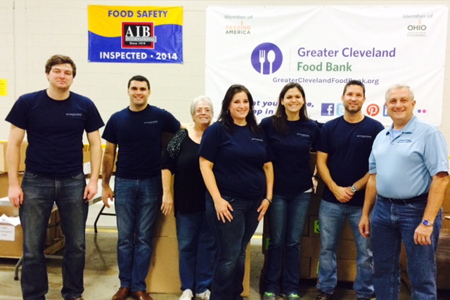 Our staff volunteered at the Cleveland Foodbank this month. We worked in the kitchen preparing meals and packed bagged lunches. We found it very rewarding and look forward to returning this spring. Men's health is a cause I am passionate about but in order to make a difference I need your help. My commitment is to grow a moustache for the month of November and by changing my appearance, raise vital awareness and funds for men's health, specifically prostate and testicular cancer initiatives. I am asking you to help support my personal journey by making a donation. The size of the donation isn't important, every little bit helps Movember continue its funding of world-class programs. 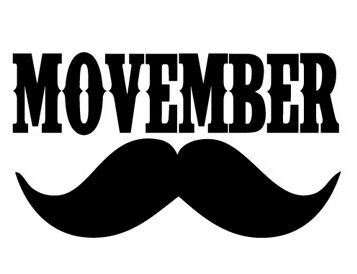 Movember is a registered 501 (c)(3) charity, donations are tax deductible to the extent permitted by law. Join Stan Majkrzak by supporting Movember! How to support this great cause. HW Financial Advisors is proud to announce their support in the 2014 Benefit for Milestones Autism Resources. To learn more about this event or organization please visit their site. 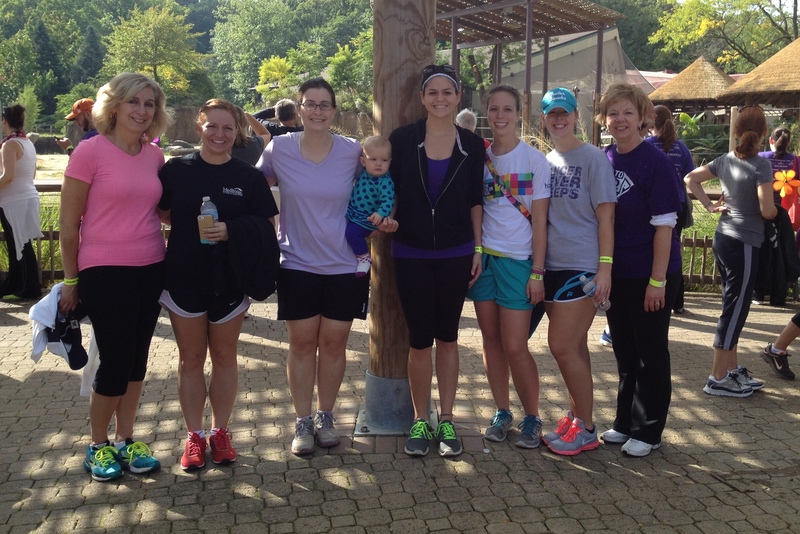 This past weekend our staff along with their families participated in The Walk to End Alzheimer’s. It was a “roaring” good time for a good cause!